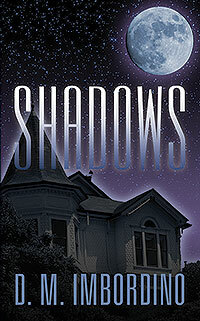 D. M. Imbordino’s “Shadows.” After a string of unfortunate events, Amanda Pennington and her family move from California to the coast of Ellsworth, Maine. The new Victorian home on Water Street has many secrets. With the aid of a tribal elder, Amanda is plunged into a deadly game of cat and mouse. Will Amanda survive the horrors that await her?